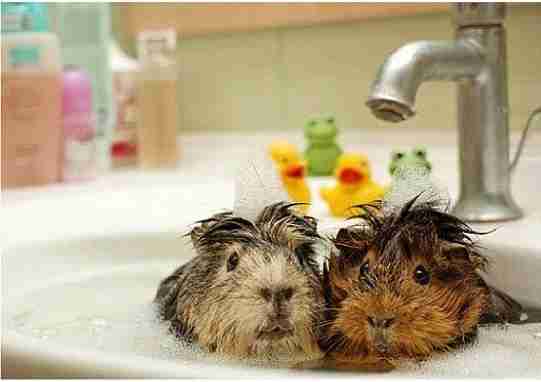 Rub-a-dub-dub ... guinea pigs in the tub! 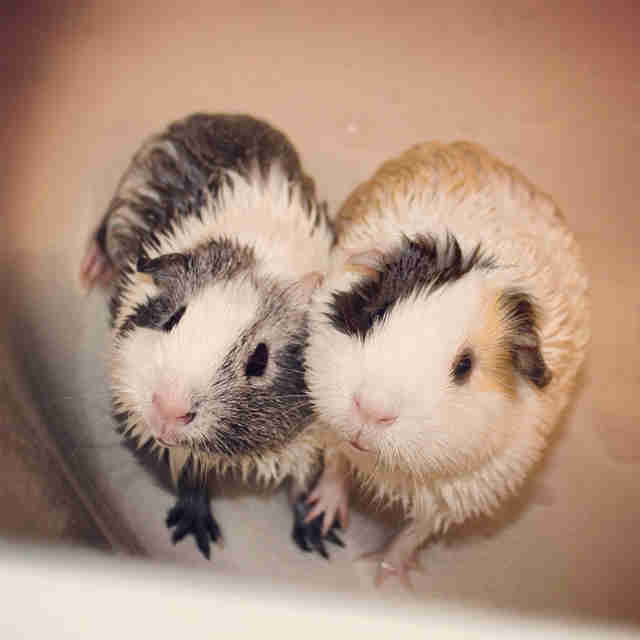 These adorable fur balls bring a whole new meaning to the words "squeaky clean." 1. 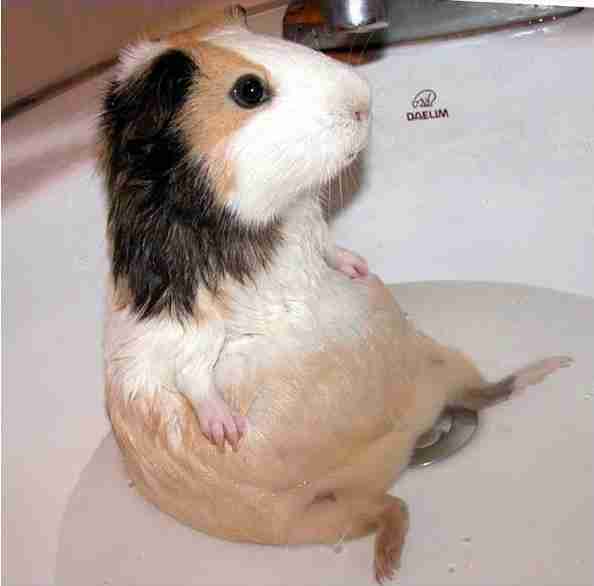 The bath is the best place to chillax. 2. A gentle scrub really shows off those white whiskers. 3. This bowl is the perfect size for a bubble bath. 4. Even better than the bath itself? 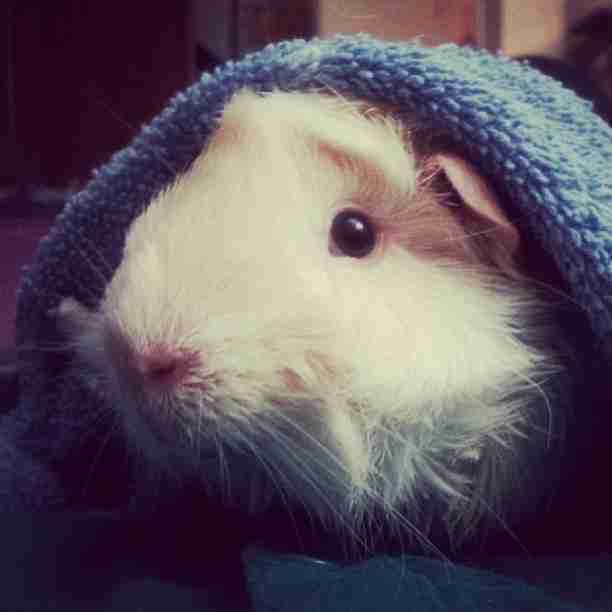 Drying off in a towel fort. 5. Sometimes it's nice to have a buddy to keep you company. 6. 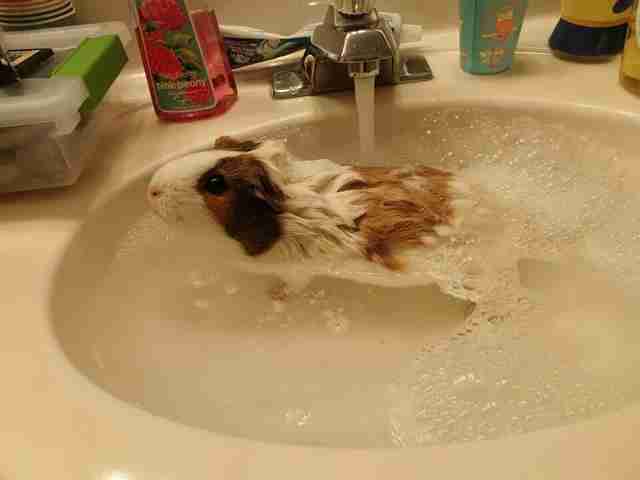 When in a hurry, just take a quick dip - in the sink. 7. This lovely lady knows how to rock a bathrobe. 8. Nervous around water? Just grab a friend's paw. 9. 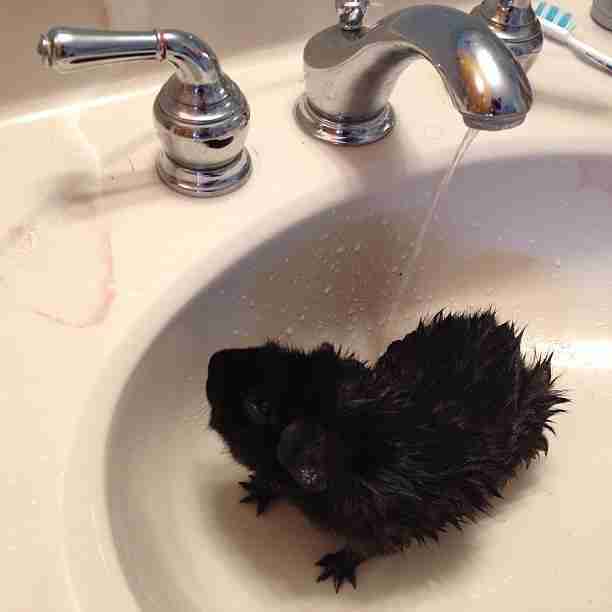 Baths aren't for everyone. 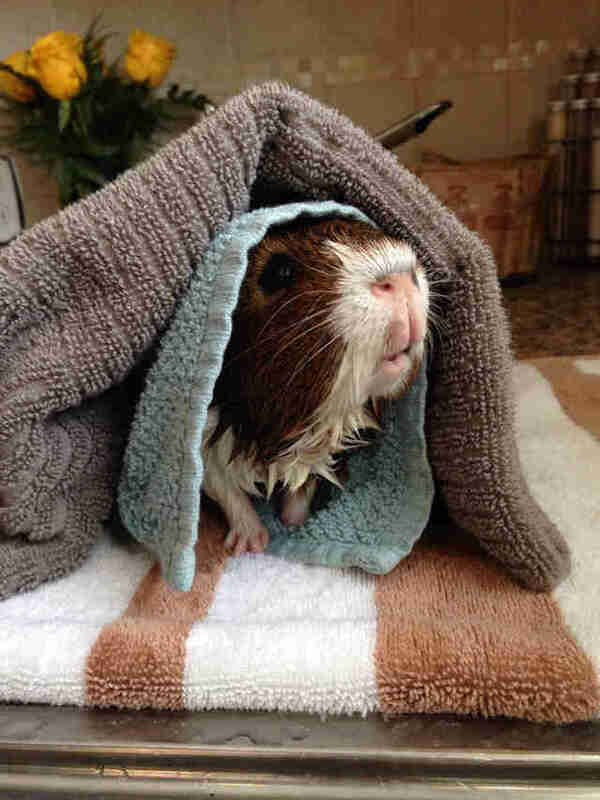 Some pigs prefer a shower instead. 11. 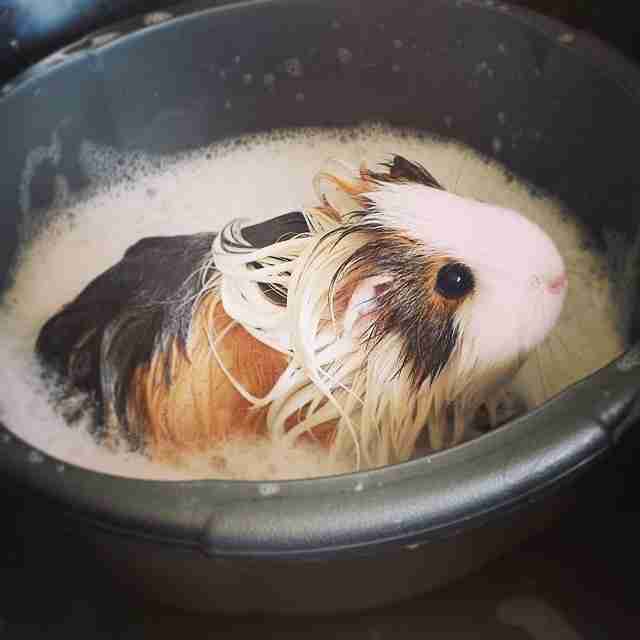 ... but this adorable guinea pig needs some help getting his 'do in shape. 12. 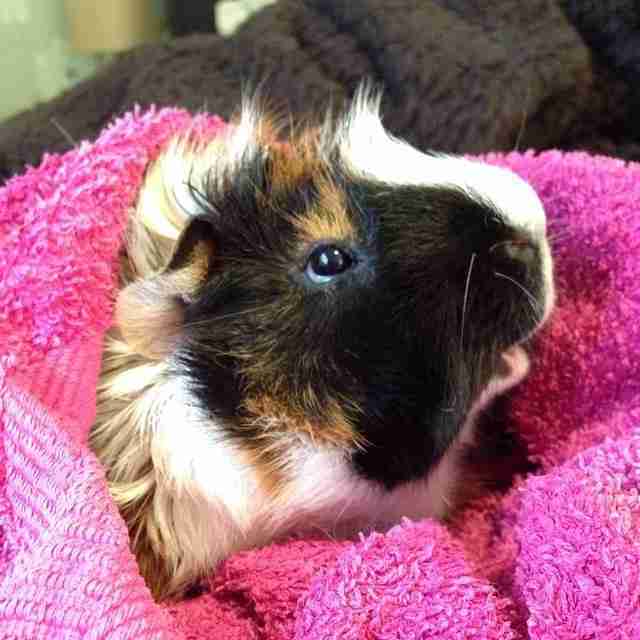 This furry fellow looks royal in his fluffy pink towel. 13. 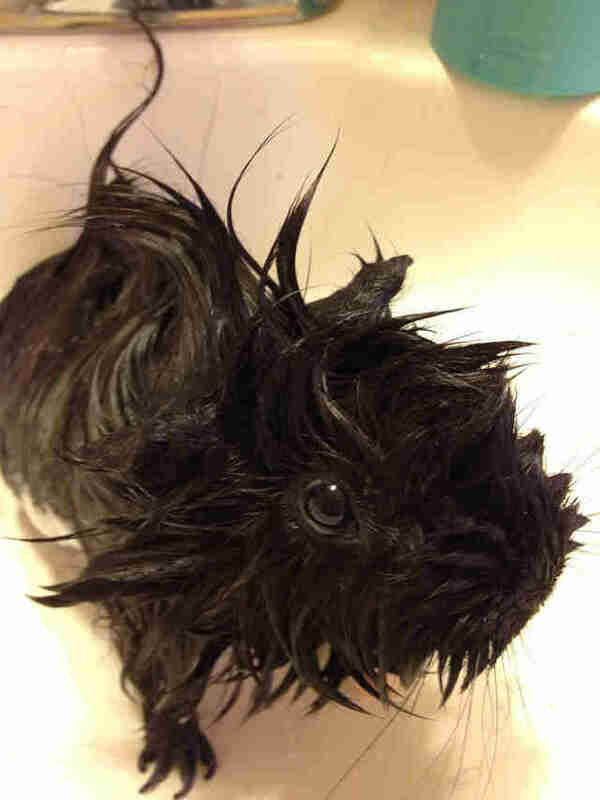 This pig has perhaps the cutest bath face ever. 14. And here's the best part: the post-bath-time snack! 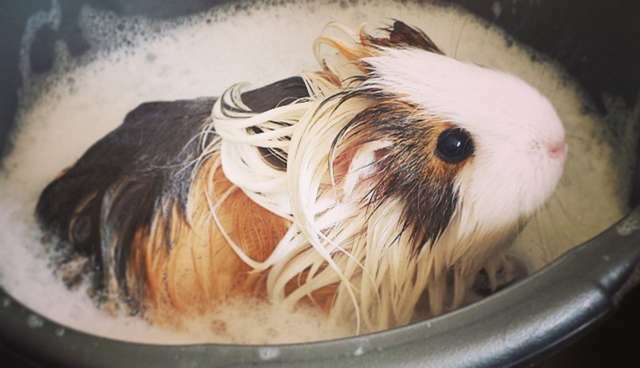 Guinea pigs don't need to be bathed regularly, says Dr. Lynne D. Cabaniss, a veterinarian specializing in small and exotic animals at Collins Animal Hospital in Washington, D.C. Twice a year should do it, she says. 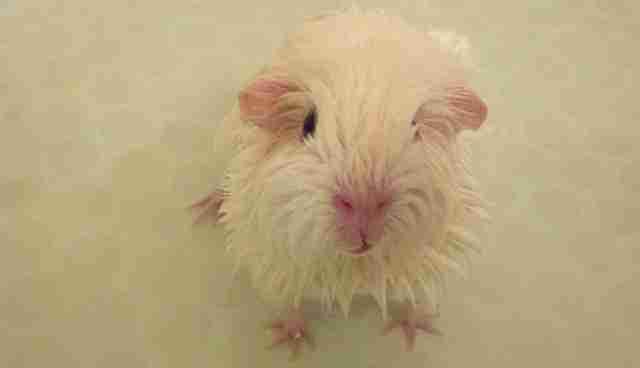 Bathing too often may dry out your pig's coat, irritate her skin and stress her out. 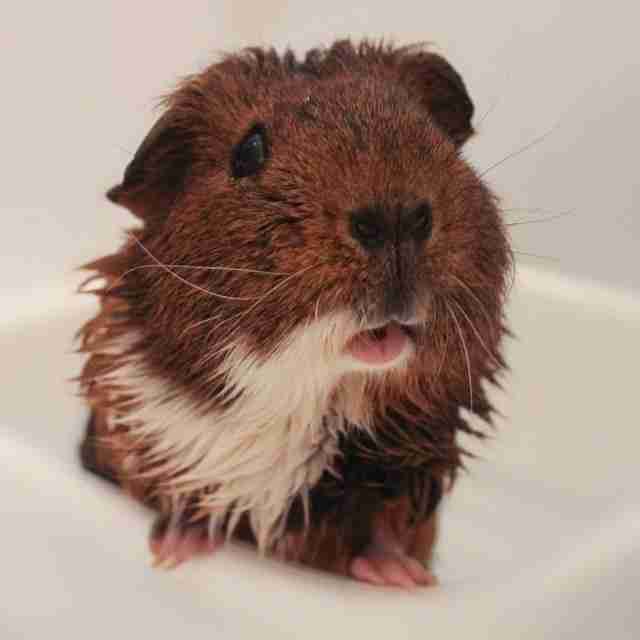 Use a gentle, hypoallergenic shampoo made for animals, and lukewarm water to protect your guinea pig's sensitive skin. 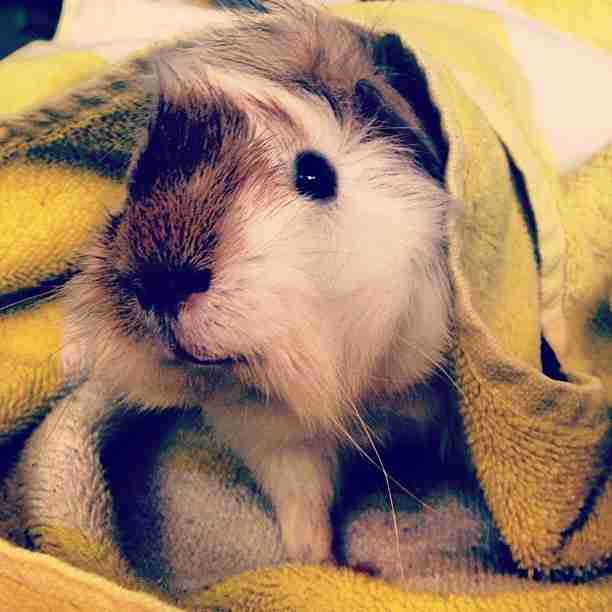 Dry her fur gently with a towel. Concerned about odors between baths? 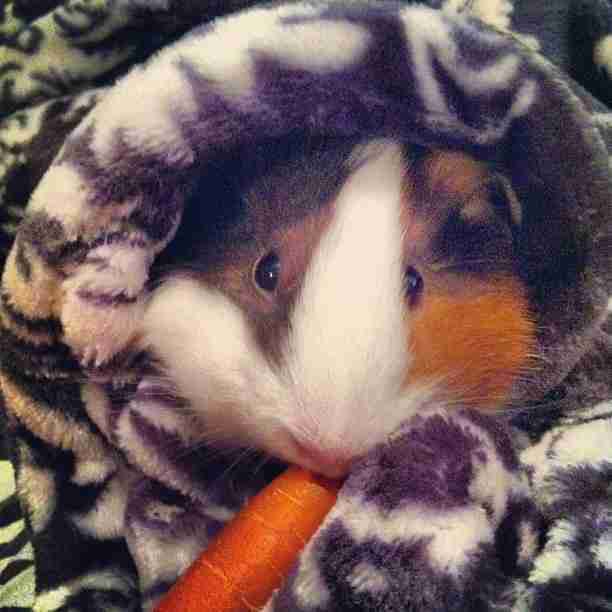 Clean your guinea pig's cage frequently (every day or every other day) so she'll always smell fresh and clean.